Culture is defined as the behaviors and norms within a particular social group. For a company work culture, the new norms of the work environment are focused on a few key areas – communication, employee engagement, ethics, and performance management. This article will explore how technology impacts these areas resulting in changing your work culture. With the advent of smartphones and computers built with faster processing and software, employees can use a variety of instant messaging and collaborative apps, such as Trello and Evernote, when working on projects. These forms of communication can help shut down hierarchical barriers, as company executives may choose to participate in conversations with entry-level associates at different levels of scale and importance. According to Ashley Goldsmith and Leighanne Levensaler, contributors to HBR, the democratization of information will be even more apparent, technology via cloud makes it easier for anyone in an organization to have access to data, and share that data in a meaningful way. On the other hand, technology escalates the “always-on” mentality, as pointed out in a 2014 Deloitte survey, where there is an increased trend of overwhelmed employees in organizations. This is due to the always-connected lifestyle and information overload that comes with the benefit of more accessible tech. Therefore, most companies should promote a healthy work-life balance for a more sustainable work culture. Levels of engagement are based on elements that allow employees to maintain a positive outlook and excitement for what their organization has in store for them. One element involves flexible work hours and styles. Advancements in video conferencing, accounting, and cloud platforms allow workers to thrive in adaptable working environments, such as standing-desks and interactive meeting rooms, or off-site positions for remote workers. For example, design teams around the world who use Adobe Creative Cloud can work directly through the cloud network to share assets and information from anywhere. Forward-thinking companies use technology to focus on the potential of an individual employee, where the system impacts on work culture can be profound. 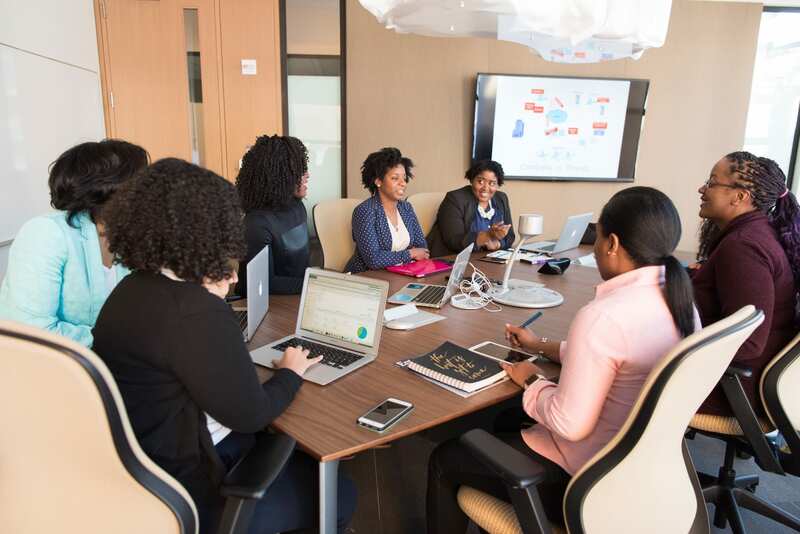 At Deloitte, they maintain a custom technology solution called ConnectMe that serves employees’ diverse needs. Using artificial intelligence, ConnectMe personalizes the employee experience (i.e: if a new employee connects with a company, based on their profile info and AI settings, they receive relevant info on them based on their role, interest, and needs). At the end of the day, technology is just a tool, and like all other tools, it may introduce positive or negative effects on work culture. Organizations must have a clear plan in place while navigating different technologies in the workplace. Enterprises such as Adobe and IBM, who are at the forefront for most of this digital revolution, are shifting toward a more informal performance system as a result of technology in the workplace. Adobe uses an agile method for performance tracking, one that relies on centralized employee information and collaborative tools that make it easier for company leaders to generate ongoing feedback. The Microsoft approach to changing company culture is data-driven and relies on quantifying the time spent on different aspects of day-to-day activities. From holding meetings, answering emails, establishing or extending internal and external networks, or logging overtime hours – companies can use tracking technology to better identify areas where the work culture may be slipping in productivity, performance or morale. When thinking about organizational culture, there are plenty of factors that go beyond technology and people. Work culture itself is a complicated reflection of social traits and behaviors, but at the least, it is based on the technology a company utilizes, and the individuals themselves who work with these tools to operate at a different level. Want to help shape your work culture using technology speak with a member of the Workspace Digital team today!